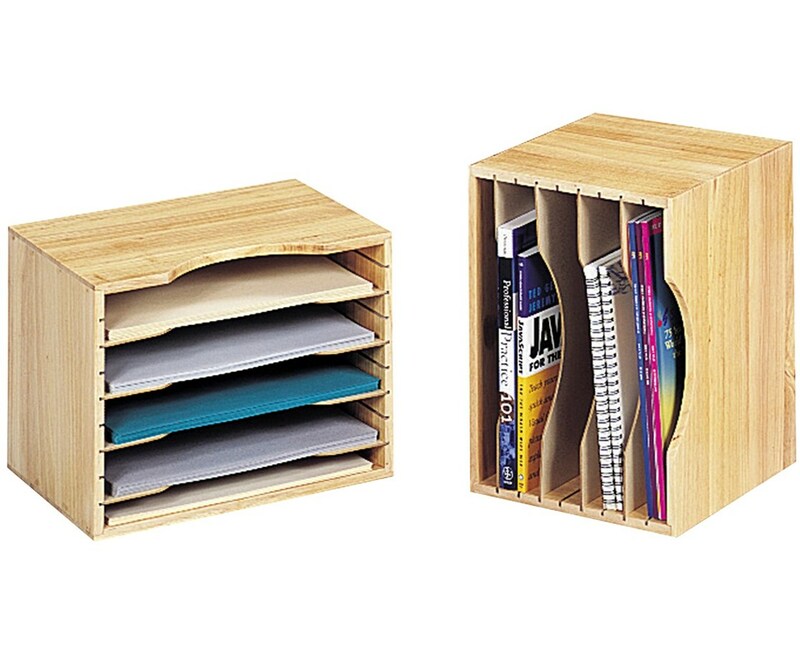 The Safco Wood Stackable Sorter is a versatile document, file, and book organizer that can be used in three different ways for maximum storage. 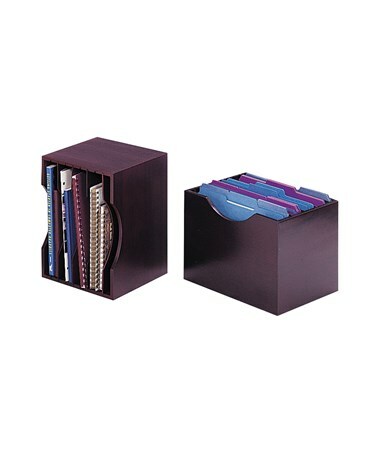 It may be used horizontally for literature, vertically for books, or upright as a tub-file for file folders. It has four removable hardboard dividers that adjust in one-inch increments and can create up to five letter-sized compartments. Also included are soft rubber pads that help prevent desk surfaces from scratching. 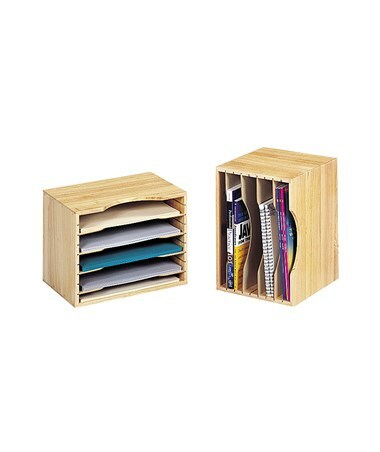 This desktop organizer is made of solid wood while its shelves or dividers are made of hardboard. It can be stacked up to three units high to add more storage when needed. The Safco Wood Stackable Sorter is available in two colors. Please select your preference from the drop-down menu above.